The Foam of Choice, When Water is Present. What do we mean by Hydro-Insensitive? HMI foam is Hydro-insensitive because it forms high quality foam even in the presence of water. This includes during the injection, reaction, and curing phases. Foam that fails during the injection phase will leave the surrounding water cloudy, signifying that the raw chemicals have dissolved into the water. Foam that fails during the reaction phase simply won’t produce good foam. The foam may be left spongy, soft, and crumbly when water is present. Foam that fails in the curing phase won’t hold up. It may look like good foam at first, but will shrink over time. 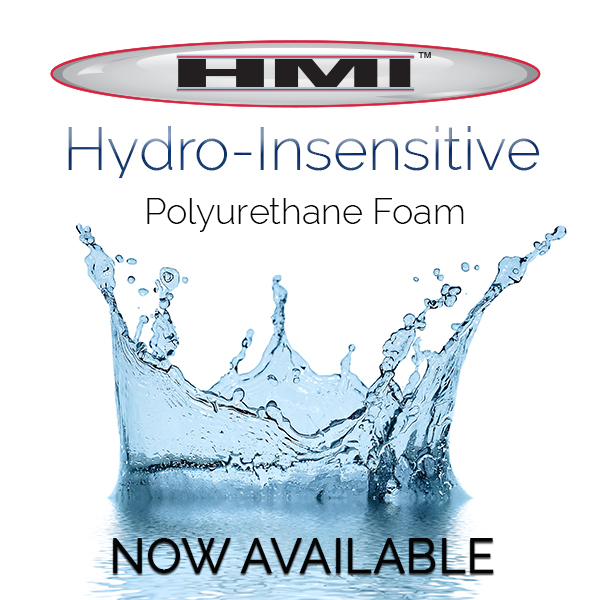 HMI is proud to introduce the only true hydro-insensitive foam, a product that stands up in all three phases, the foam of choice for deep injection and seawall repair jobs. water and to maintain dimensional stability in wet environments. HF202 is great for residential applications..
HF202FAST- Quick reaction times and low density make this foam great for lifting smaller lighter slabs. Hydro-insensitive. Maintains dimensional stability. used for residential, commercial and/or industrial applications. HF402FAST–The same strength as the HF 402, but speed of the HF 202 for less spread. Recommended for shallow Deep Foamjection sub-grade application, faster reaction time makes it more suitable for lifting. HydroFoam was specially developed to resist hydrolysis- a chemical process in which water breaks down foam overtime causing the foam to shrink. Designed to not only set up in the presence of water, but to maintain dimensional stability. HMI’s hydro-insensitive foam holds up where other brands fail. HydroFoam is The Foam of Choice for Deep Foamjection. What does your foam look like? 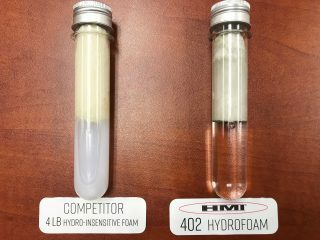 HMI Challenges you to take your foam to the test! What chemicals are leaching into the water? !